Uttar Pradesh Chief Minister Yogi Adityanath on 30 August said that media keeps on blaming government for small issues. While speaking after inaugurating the 'Make in UP' scheme startup journey, Adityanath also said that day is not far when parents will start leaving their own children with the Government itself." Addressing the crowd at Scientific Convention Centre, CM Yogi said, "They say that every day there is a lot of waste, and we have given our responsibility to the government. I have a feeling that when a person's child turns two, people will start leaving their children with the government itself." CM Yogi also said that when people get sick they go to a street doctor who in turn gives them treatment for some other disease. 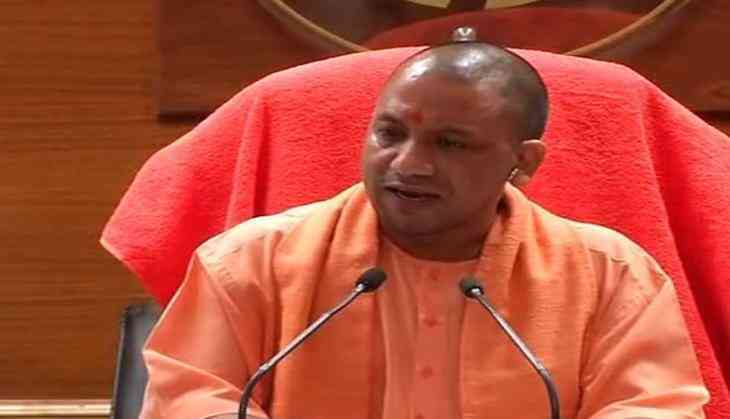 Talking about other issues, CM Yogi also said that a group of students told him that Uttar Pradesh's government is working on solid waste management and a few days later people will not call it waste, but the best decision. "There is a need for an added way to implement schemes for public welfare. Every person has some value and no one is born perfect," Chief Minister Yogi said. He said that Prime Minister Narendra Modi had said that he won't work for any one caste in particular. CM Yogi also said, "The nation was liberated in 1947 and after that whosoever leader came cared for nothing more that his vote bank politics and his party, but this changed in 2014 when BJP led government came to power." The Chief Minister also briefed about other schemes of his government. Talking about the startup project Chief Minister Yogi said that they are starting a journey from here. "We have also started a website and Uttar Pradesh Government will also be starting a startup application for mobile phones," CM Yogi said. He also added that with optical fiber, the Uttar Pradesh Government is going to provide digital connectivity to 27,000 villages in 1.5 years. Adityanath inaugurated one of his government's most ambitious projects - a start-up fund for promoting micro, small and medium enterprises (MSMEs) within the state. The policy aims at the state-centric ' Make in UP' project, in alignment with the Centre's flagship ' Make in India' mission. This is the first scheme to be launched since the Yogi Adityanath government came to power in Uttar Pradesh. Under the scheme, the authority has introduced a special payment option for the successful allottees of industrial plots. This scheme will be continued till 22 September this year and will also promote the Ease of Doing Business mantra.